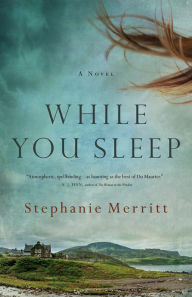 Deemed a psychological thriller, Stephanie Merritt's While You Sleep is unlike many other books in that popular genre. 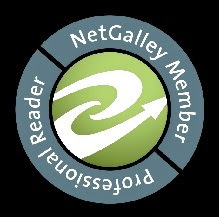 Merritt weaves so many paranormal and Gothic elements into her narrative, that I am not even sure I entirely agree with the "psychological thriller" label. What she does do is create something very unique here, but it is not without its faults. Zoe Adams has just arrived on a secluded Scottish island from America. She has rented out the McBride house, not knowing the tragic history of it beforehand. A young woman and her son perished there a century ago, and a boy disappeared there just last year. Zoe wants to use the house to escape from her troubled marriage, but she soon finds herself in the midst of the house's danger, with all the strange occurrences that go with it. Merritt hooked me immediately with a very strong first chapter. But then without warning, she delves into graphic sexual situations, which seemed very jarring and out of place right off the bat. I thought I was reading one thing and then got another. These scenes do eventually make sense to the plot, however. Most of Merritt's chapters are strong but long-winded, and some of them are absolutely terrifying. All in all, While You Sleep, for me, was an average read.